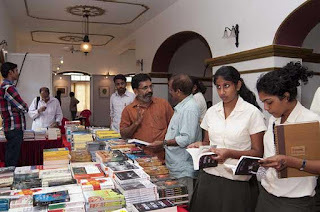 Nobody expected it at the Kovalam Litfest. It felt so relaxed that you chatted with strangers as with friends. And yet here was a bearded, elderly man in the row behind mine raging at the Israeli playwright Savyon Liebrecht. Wagging a finger, ignoring all reprimands, he tried to establish through persistence alone that he knew, if nobody else did, how terrible were the Jewish people because he had lived in Germany for thirty years and they had been awful to him and this proved that they deserved the Holocaust. It would have been comical if it hadn’t been so nasty. Liebrecht is the author of novels, short stories, plays, and novellas. She has won awards in three countries and has been Israel’s Playwright of the Year. Born in 1948, she is the child of Holocaust survivors and has devoted her entire writerly life to it. She stood on stage now trying to absorb what the audience was flinging at her: a prolific writer at a loss for words. And Liebrecht was not the only one trying to make sense of the hatred pouring out from an audience that had appeared so benign. Poet, translator and activist Meena Kandaswamy, not even thirty, is already well known as a radical political writer, not afraid to use explicitly sexual language as a shock tactic. She read a series of angry, polemical, passionate poems on womanhood and Dalithood. Then went through an exhausting hour of attacks from the audience. I listened more and more bewildered by the aggression as people pulled out all sorts of old chestnuts. They informed her that Dalits today no longer suffered; that they actually had it rather good what with reservations and all; that when they got those reserved-quota jobs they never worked, etc., etc. One bitter generalization followed another. In the questions put to both Liebrecht and Kandaswamy, suffering was weighed in scales. Whose was worse? Were not the Palestinians as oppressed as the Jewish people had been? Wasn’t India’s Partition a Holocaust as well? Some wanted to know why Kandaswamy focused on Dalits. Did not the disabled deserve poetic attention? If Surpanakha could be the subject of a poem, why not Draupadi? Not everyone in the audience was as perverse, of course. Several people tried reasoning it out. Rebecca Mammen, criminal lawyer at the Delhi High Court, gave examples from her own cases to prove how violence against Dalits was rarely punished by the state. Novelist Binoo John and cricket writer Suresh Menon attempted arguing with those brushing away the Holocaust. Various others tried turning the discussion towards less hostile directions. Nothing worked. I realized later that the booing sections had sat beaming through Fatima Bhutto telling them all sorts of uncomfortable truths about India. The same listeners who were more or less spitting at a Dalit poet and a Jewish playwright had been fawning over the visiting princess from Pakistan. There wasn’t a single inconvenient question. Did her pedigree and our love of kings and queens create that submissiveness? Or was it a sane response to the eloquence of her appeal for Indo-Pak brotherhood? Given that much literature is now obviously and overtly political, all writers — even those who do not write in that vein — expect political rather than literary questions at book events, whether in India or the West. It is the level of acrimony that is strikingly different. There must be verbal versions of rotten eggs and tomatoes at literary festivals in the West, but I haven’t seen comments being worded as personal accusations. I’ve been asked pointed political questions and seen them being put to others. But there was always the underlying acknowledgement that the writer pinned by that spotlight, trapped on that podium, deserved courtesy and attention. Liebrecht later said she was used to occasional hostility — but had not expected it in Kerala. What image had she, or we, of Kerala? Mammen, John and Menon, all Malayalis, defined Kerala for me. Like most outsiders I knew only of its cultural richness, its natural beauty, its leftwing politics, its stable birth rate, its incredible literacy rates, its enviable healthcare and old age care systems. Landing there from Delhi, where even the Chief Minister reprimands women for driving alone at night, I was delighted to see stout matrons in saris and helmets ferrying their children about on speedy little scooters. I felt unthreatened walking alone on the beach. Everyone I spoke to was welcoming and cordial. My first impressions confirmed my view that Kerala had got it all right. I would not have been surprised by aggression anywhere else in India. I hadn’t expected it in Kerala. It’s not just Kerala. Most writers assume that they and their readers share a protective sheath of liberal values — but it disintegrates alarmingly during most such occasions in India. We usually associate rightwing aggression with loutish mobs. That’s a mistake. It may be the woman in the tussar sari or the man in a linen suit, sitting next to you in an air-conditioned hall, listening to poetry. Scribbling notes. Sharpening knives. Priming the bomb. Adjusting the mask. Published in The Telegraph. Read it here. 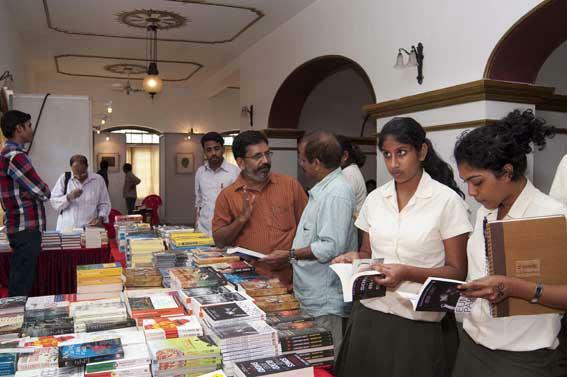 I was one of those silent spectators in the crowd at the Kovalam Lit fest. What might have shocked you comes as no surprise to me. In fact, it also showed the true face of many people who display a liberal mask to the world. We sit in the comforts of our home listening to shows on the bhagawad gita, drinking scotch whiskey and talk about the corruption and religious fanaticism and the very next day head to the local body meeting of the caste body meeting talking how the "others" are blocking "their" well being. Kerala might be marketed as a leftist, liberal society but dig deep and you will see it is no different from any other biased society. If "The Dark Knight" had been set in Kerala, the Joker would have had his way.Yet, something holds us to this land. Maybe that something, which we dont know, is the reason we still love this place, like a disillusioned lover holding on to an abusive relationship, hoping that someday the impossible might happen. I liked your column and read it a couple of months ago and just stumbled across your blog. I dont think the core issue is that indians are NOT liberal or whatever. The reason for this kind of strong opinions (rigidly prescriptive, lacking empathy and curiousity) is that our education system does not encourage it. We are so focussed on career and job issues (this is an economic reality for us) that we think of most issues as yes/no and actually think of wishy-washy discussion as a sign of weakness. Of course, some families and sub-cultures emphasize these values but they arent part of our national discourse.